If you need to learn about which code would work for you refer this article. 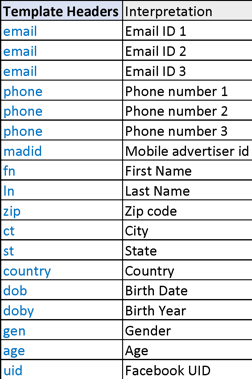 If you use the “Basic” code, then you will place the code on all pages containing“www.yourdomain.com/? s=”. 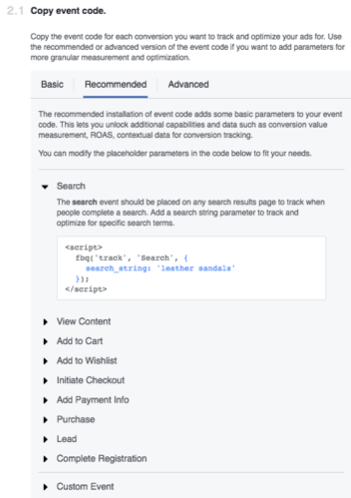 If the event is based on page-load, then it doesn’t matter if you place the code outside of the head tag. But, it’s recommended that you place it as close to the closing “head” tag. 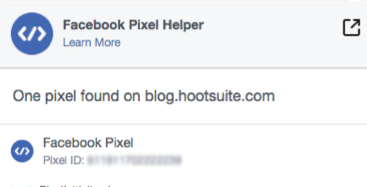 Use “Facebook Pixel Helper” chrome-plugin to check if the pixel is installed properly. 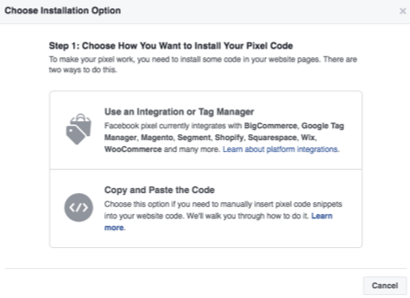 Those are the very first steps you need to take before moving to the advanced sections of Facebook Pixel. 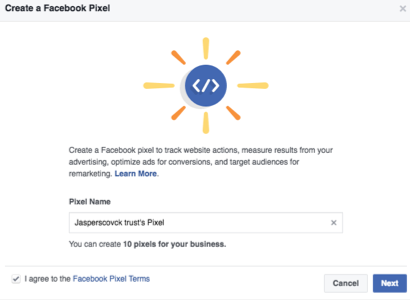 Now that you have set-up the Facebook Pixel, it’s time to make the most of it. 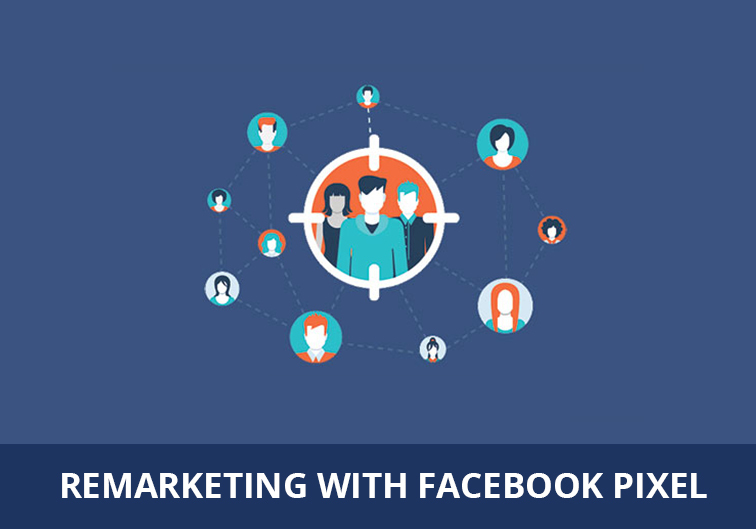 Facebook Pixel’s most important job is to remarket your marketing ads to the Facebook users who have visited or have taken specific action on your website. 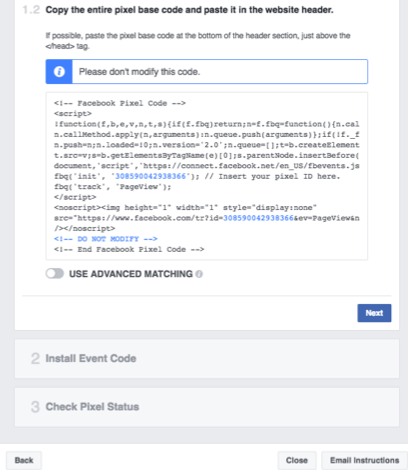 You will be able to do this the same way you set-up your Facebook Pixels using different type of events. 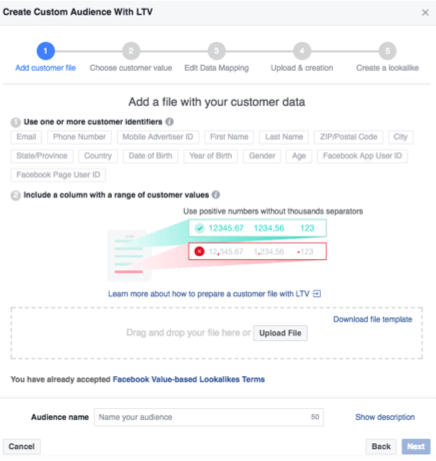 So far your retargeting is based on custom-actions on your website which helps Facebook identify the audience to be targeted. 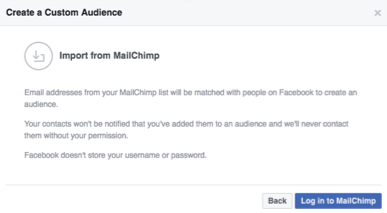 However, imagine if you already have a database of the audience which you have identified as potential customers. 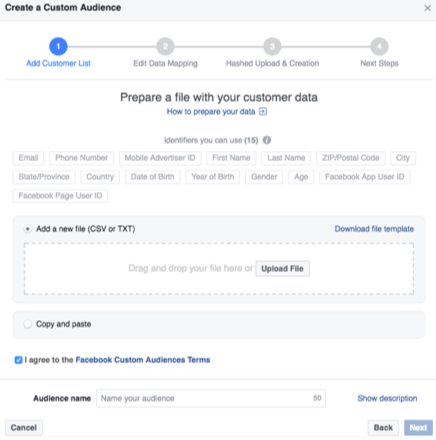 You can now use this target audience list, share it with Facebook Pixel and make the most of the re-targeting campaign. 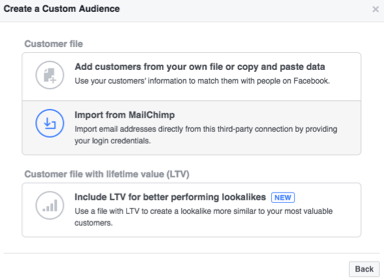 Once your customer file Custom Audience is created, use it as a source for a value-based Lookalike Audience. 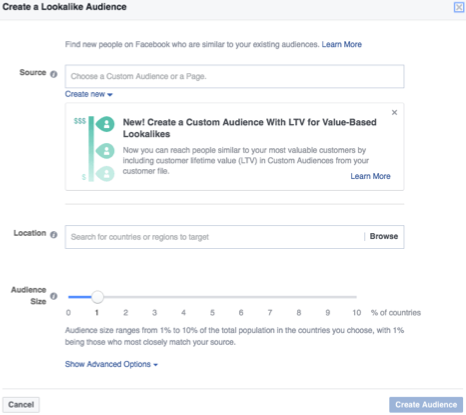 Use this audience for your remarketing. However, if you click on “Pixels” you will see the screen below. 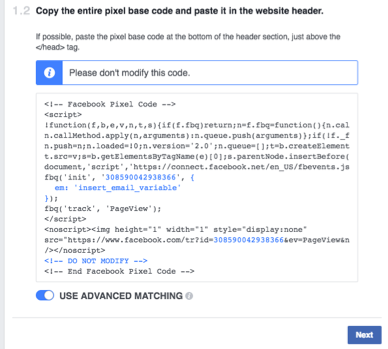 You can learn more about the column headers here. But here is a small table to help you. 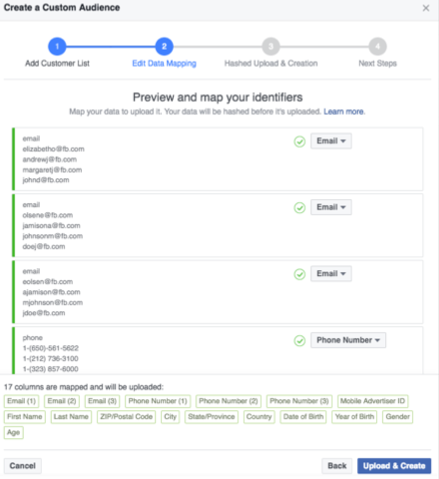 In the downloaded template, you can add your customer list which you might have collected in your CRM software or any other in-house customer database. 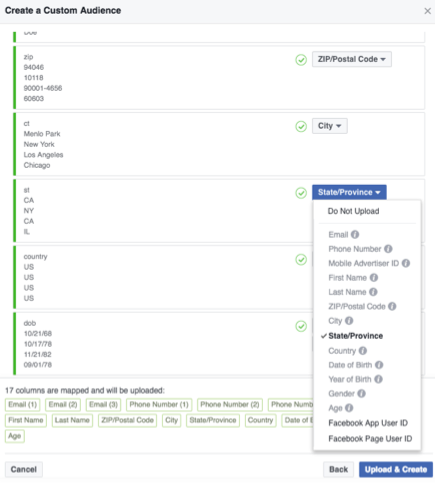 Once uploaded, preview the column headers with the data. 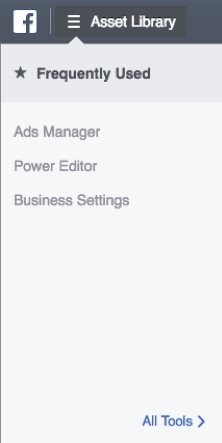 If there is any mismatch you could use the drop-down menu options to match the column headers (as shown in below images). Alternatively, you can also copy/paste the table from your csv file into the option as shown in the below images. 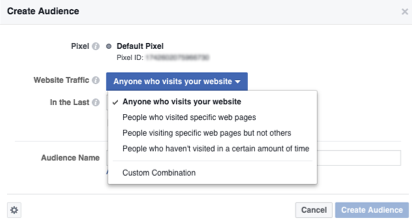 Choose the duration for which you want to track people who visit your website or landing page. It is 30 days by default and can go up to 180 days. This means that people who visit your tracked pages are kept in the Audience for a maximum of 30 days. After 30 days from their first visit, they are removed from the Audience list. 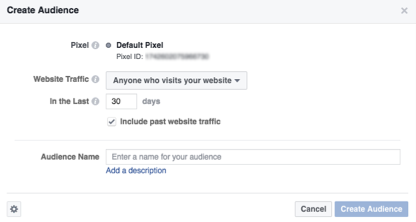 You can adjust the retention window from a minimum of 1 day to a maximum of 180 days. 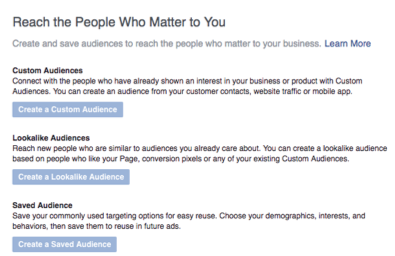 To create a lookalike audience, go to the “Audience” section. 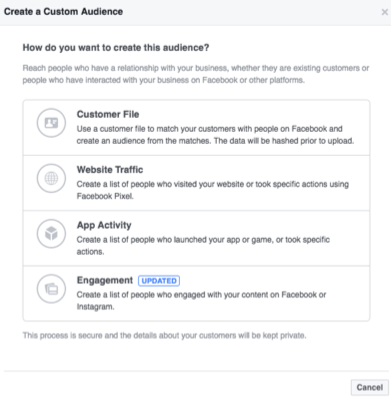 Step 4: Use this audience for your re-marketing. 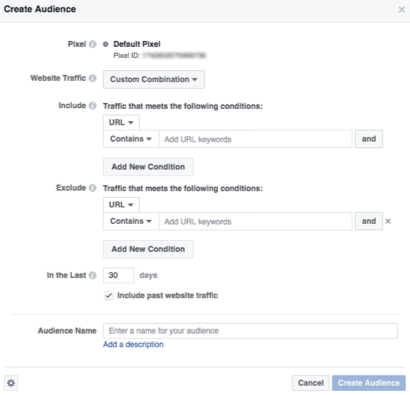 Step 5: Optimizing ads for conversions. 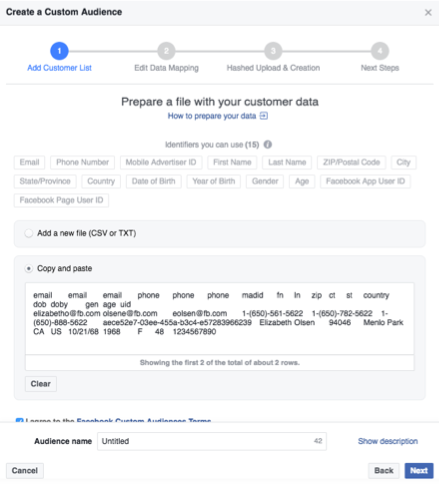 Step 6: Tracking conversions and attributing them back to your ads. 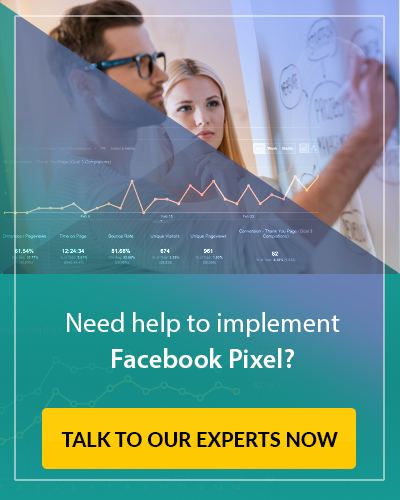 This is where seasoned professionals can give you the edge over your competitors, so that you make the most out of your remarketing campaigns. Talk to GMI’s team of expert analysts today.